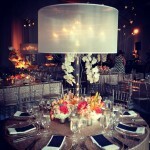 It is not often that the team at Liven It Up Events receives phone calls to help plan a wedding for under 50 people. When we received this call from this couple, we were so delighted to learn more about what they were planning. They were moving from Europe to Chicago and planning on having a destination wedding to Chicago with their closest friends and family. The total guest list was right around 50 people and the perfect setting was the smaller ballroom at Trump Hotel Chicago. We are no strangers to working in large venues in Chicago. The team at Liven It Up Events is well versed in all types of venues, from hotels, to mansions, lofts, photo studios, floral shops, and yes, even museums! 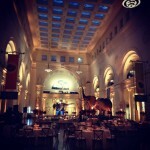 Lets take a look back at this fun wedding we had Labor Day Weekend at The Field Museum. 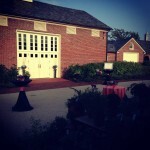 The team at Liven It Up Events is becoming quite the experts on barn and farm weddings! 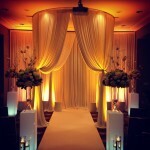 We have seen the trend turn into a more common wedding venue selection for more and more couples. Being in an urban environment, we do not have any barns in Chicago that we can work in, so we find ourselves traveling into the suburbs for these couples and we love it!